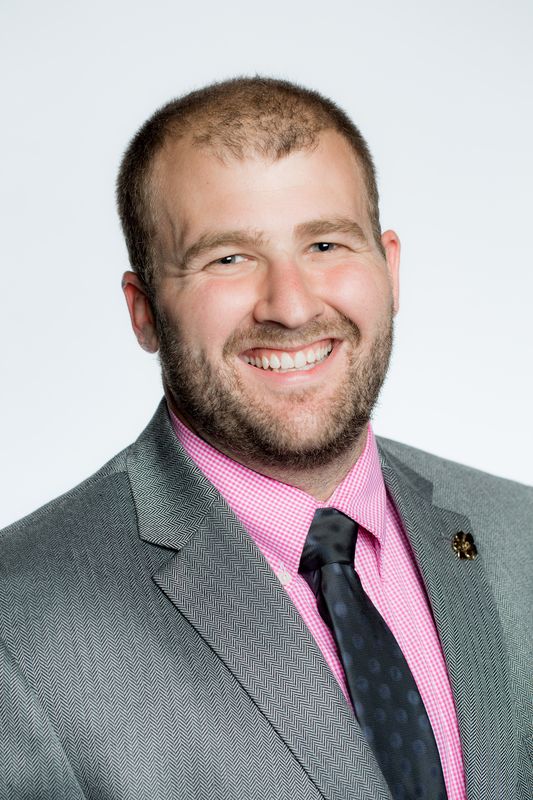 As the Director of Education I assist the TKE Professional Staff with the design and execution of TKE's values-based programming and leadership education. I am responsible for the logistical pieces at all of our conferences such as Regional Leadership Conference, TKE Leadership Academy, and Conclave. I am the contact for our partnership with St. Jude Children's Research Hospital. I am originally from Oshkosh, Wisconsin but moved to central Indiana during grade school. I majored in broadcast journalism and public relations at Franklin College and got to spend four years broadcasting Franklin Grizzlies football and basketball contests on the radio. As a 2009 initiate of the Rho-Upsilon chapter, I served as Crysophylos, Epiprytanis and Prytanis. The highlights of my TKE experience include watching my chapter grow and develop in the time I spent in college and earning an individual Top Teke award at the 2013 Conclave in Washington, D.C. I thoroughly enjoy any and all sports, but the Indianapolis Colts and Indiana Pacers are my two hometown favorites, with the Boston Red Sox and Duke Blue Devils as my out-of-town teams. I try to attend as many Pacers and Colts games as possible every year and use my free time to improve my golf game. I also enjoy cooking, traveling, and making new friends (possibly you).